GMB assisted the Delaware Commission of Veteran Affairs with the design and expansion of the State of Delaware’s Veterans Cemetery in Millsboro, Delaware. The project included the master planning of the 53 acre site for the expansion of the cemetery over a ninety year period in ten increments. 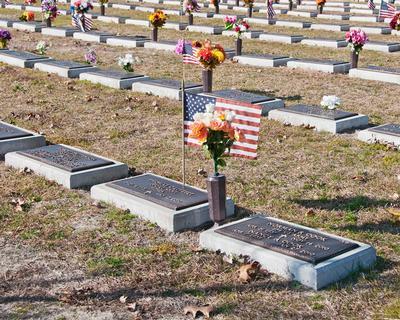 The cemetery was designed to meet the National Cemetery Association standards. As a follow-on to the Millsboro project, GMB was selected to design an expansion of the New Castle Veterans Cemetery in Bear, Delaware.